Although Paolo De Marchi is best known for the sublime Sangioveses he crafts at Isole e Olena, his Cabernet Sauvignon is just as viscerally thrilling, as this vertical tasting amply proved. Originally from Northern Piedmont, proprietor Paolo De Marchi is much more reserved than many of his colleagues. Then again, with wines like these words are superfluous. De Marchi is emphatic in stating he is not a huge fan of international varieties in Tuscany. Like many winemakers, though, De Marchi could not resist the urge to experiment a little in the 1980s, when the craze for international grapes was taking hold of Italy. De Marchi planted some Cabernet Sauvignon, Chardonnay and Syrah, and labeled his wines Collezione De Marchi to differentiate them from his family’s Isole e Olena wines. It is one of life’s great ironies that De Marchi has proven just as skilled with international grapes as he is with Sangiovese! As it turns out, De Marchi’s Cabernet Sauvignon is one of the great wines of Tuscany, but beyond that, it can also stand next to the very best Cabernets from anywhere in the world. Almost all of the wines in this extensive vertical were outstanding, and many were sublime. For more on Isole e Olena, readers might enjoy this short video I shot right after the tasting, and a companion vertical of the estate’s flagship Cepparello we originally published last year. De Marchi grafted his first Cabernet Sauvignon vines onto existing Canaiolo rootstock in 1984 using clones he sourced from Alceo di Napoli at Castello dei Rampolla, who had in turn gotten the wood from Niccolò Incisa della Rocchetta at Tenuta San Guido. The plant material is believed to have originated at a Bordeaux First Growth and was a combination of various old clones that included some Cabernet Franc. De Marchi planted a second parcel of Cabernet Sauvignon in 1987, a bit more Cabernet Franc in 1990, and a dash of Petit Verdot in 2001. The original 1984 parcel of Cabernet Sauvignon was taken out in 2007 and is only going to be replanted next year, a time frame for letting land lay fallow that is practically unheard of in today’s frenetic world. The early vintages of the estate’s Cabernet Sauvignon included about 3-4% Cabernet Franc. Since 2003, the blend has been predominantly Cabernet Sauvignon, with 8-9% Cabernet Franc and about 1% Petit Verdot. De Marchi gives his Cabernet Sauvignon 30 months in barrel, 40-50% new, an aging regime that has been fairly constant over the years. Although De Marchi has a preference for French oak, the Cabernet has always included 2-3% American oak. The 2010 Cabernet Sauvignon Collezione De Marchi is magnificent. Violets, smoke, plums and cassis jump from the glass in a stunning wine. All I can say is the 2010 is incredible. Just bottled one month ago, the 2010 shows no hard edges, incredibly expressive aromatics and beautifully delineated fruit. The 2010 isn’t a huge wine, but rather one built on exceptional finesse and elegance. It is one of the great wines of what has turned out to be a great Tuscan vintage. 98/Drinking window: 2017-2030. At the beginning of what promises to be a long drinking window, the 2008 Cabernet Sauvignon Collezione De Marchi is stunning. Savory herbs, tar, licorice, cassis, graphite and melted road tar seduce the intellectual and hedonistic senses in a wine that has everything. A vibrant, powerful, structured wine underpinned by intense saline notes, the 2008 possesses remarkable finesse and fabulous overall balance. This is another fabulous wine from Paolo De Marchi. 97+/Drinking window: 2016-2038. Isole e Olena’s 2007 Cabernet Sauvignon Collezione De Marchi boasts rapturous depth. A pure, rich wine very much in the style of the year, the 2007 wraps around the palate and never lets up. The 2007 is one of the more open, accessible wines in this vertical, even if the aromas and flavors remain very much primary. Dark raspberries, flowers, mint, licorice and spices all flesh out on the radiant, inviting finish. 97/Drinking window: 2017-2037. In a vintage that produced generally big, powerful wines, the estate’s 2006 Cabernet Sauvignon Collezione De Marchi is a model of total finesse. Dark cherries, plums, cloves, menthol and melted road tar all take shape in the glass. Today, the aromas are just beginning to show tertiary notes in a wine that should continue to drink well to age 25, perhaps beyond. The 2006 very much reflects the late harvest that year, especially in the ripeness of the fruit. 95/Drinking window: 2014-2031. The 2004 Cabernet Sauvignon Collezione De Marchi is in a beautiful spot right now. Tobacco, smoke, savory herbs and dark red berries emerge from a wine that is both powerful and deeply Tuscan in personality. The weight and structure are those of Cabernet Sauvignon, but the aromatic and flavor profile shows distinct Sangiovese overtones. Interestingly, the 2004 is quite a bit more powerful than the 2006, but it drinks well now. 95/Drinking window: 2014-2024. Another dazzling wine, the 2001 Cabernet Sauvignon Collezione De Marchi is in a gorgeous place right now. Plum, tar, smoke and licorice notes meld together in a super-ripe, racy Cabernet backed up with considerable structure. Exotic white truffle, orange peel, smoke and cassis nuances linger on the open, expressive finish. The 2001 is hugely appealing today and will drink well for at least another decade. Paolo De Marchi describes 2011 as a very cold year with a late harvest, which explains the wine’s notable ripeness. 95/Drinking window: 2013-2021. A wine that has reached a plateau of maturity, the 2000 Cabernet Sauvignon is a terrific choice for drinking today and over the next 7-10 years. Smoke, tobacco, licorice and white truffle notes add nuance to a core of expressive, brambly red fruits. Fresher on the palate than in the bouquet, my sense is that the aromatics will develop at a faster rate than the tannins soften, which is why I suggest drinking the 2000 sooner rather than later. This is an exceptional showing for a 13 year-old wine from a year marked by huge heat spikes at the end of August. 90/Drinking window: 2013-2018. A jewel of a wine, the 1999 Cabernet Sauvignon Collezione De Marchi has aged impeccably. Dark cherry, plum, cassis, smoke, melted road tar and licorice are all woven together in a wine of extraordinary grace and elegance. The 1999 is still a baby. How much longer will it drink this well? I am not sure, but I do know readers who own the 1999 are going to be thrilled. This is one of the all-time great Cabernets from Isole e Olena, that much is obvious. 97/Drinking window: 2013-2024. The 1998 Cabernet Sauvignon Collezione De Marchi is another fabulous wine. It, too, boasts, extraordinary purity and primary beauty. At the same time, the tannins remain a bit angular, which is surprising for a wine of this age. If opened today, the 1998 needs a good bit of air. At this stage, I am not sure further bottle age will make a material difference. Still, the 1998 is superb. 94+/Drinking window: 2013-2028. The 1997 Cabernet Sauvignon Collezione De Marchi tasted from magnum, is glorious. Dark cherry, blackberries, melted road tar and licorice are some of the many notes that wrap around the palate in a dark, brooding wine endowed with tons of structure. At the time, 1997 was considered a very warm vintage, and it was, but those conditions are pretty much the norm these days. From magnum, the 1997 Cabernet Sauvignon remains a baby. To be sure, the style is ripe and flashy, but it all works. What a wine! 95/Drinking window: 2013-2022. Isole e Olena’s 1996 Cabernet Sauvignon Collezione De Marchi will appeal most to readers who enjoy a slightly more slender style. The 1996 is pretty, but it also remains slightly firm, in the style of the cool vintage. Ideally, the 1996, with its slightly Piedmontese inflections, is best enjoyed at the dinner table. Savory herbs, olives, smoke and licorice linger on the expressive, nuanced finish. 95/Drinking window: 2014-2026. The 1995 Cabernet Sauvignon Collezione De Marchi could be mistaken for a Pauillac in a blind tasting. Sweet tobacco, pencil shavings, leather, smoke and dried red cherries all meld together in a gracious, medium-bodied wine endowed with tremendous energy and class. At the early part of its maturity, the 1995 will drink well for a number of years. 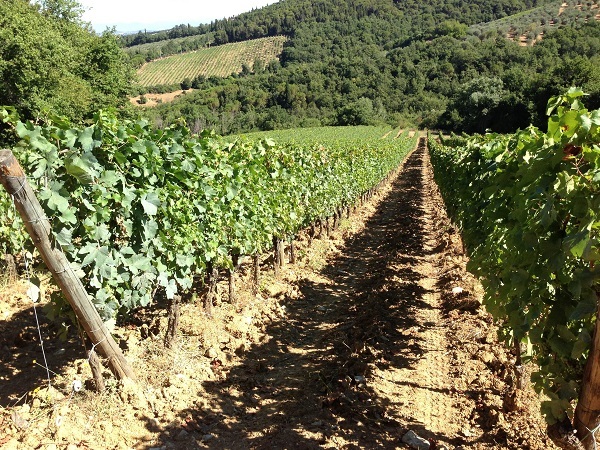 Paolo De Marchi describes 1995 as a season with cold August, but perfect weather in September and October that resulted in a very late harvest. 93/Drinking window: 2013-2023. The 1994 Cabernet Sauvignon Collezione De Marchi is one of the few wines in this vertical that has reached its full maturity. There is more than enough fruit and freshness for the wine to drink well for another handful of years, but the thrill of the very finest years is elusive. Sweet red cherries, dried flowers, tobacco and anise linger on the finish. Overall, 1994 was a tough vintage with a number of challenges, including the onset of botrytis. 88/Drinking window: 2013-2018. At twenty years of age, the 1993 Cabernet Sauvignon Collezione De Marchi impresses for its youth, power and virile personality. Huge, imposing tannins support the fruit in a big, powerful wine. Dark red cherries, flowers, sage, rosemary and licorice emerge over time. The 1993 is rich and intense, yet remains a bit burly and rough around the edges. Hints of Sangiovese linger on the finish. Warm weather caused and early flowering and may have contributed to the wine’s slightly rustic character. 92/Drinking window: 2013-2023. Sweet tobacco, flowers, mint, anise and dried cherries waft from the glass in the 1991 Cabernet Sauvignon Collezione De Marchi. A pretty wine, the 1991 is one of the more medium-bodied wines in this range. Today, the 1991 is fully mature and a bit fragile, but it also isn’t going anywhere any time soon. Rose petals, game, tobacco and dried herb notes linger on the close. 90/Drinking window: 2013-2016. 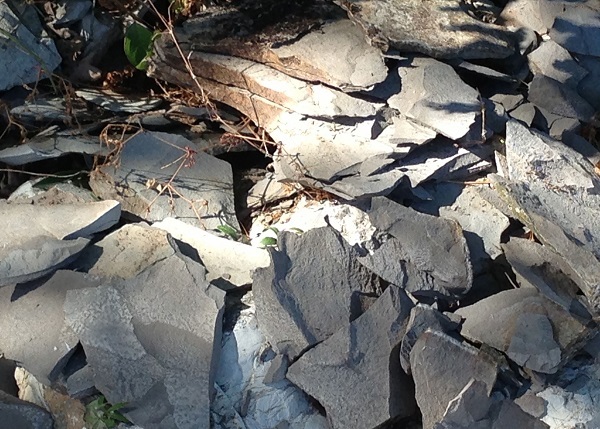 The 1989 Cabernet Sauvignon Collezione De Marchi is the product of a very difficult year. At just 11.5% alcohol, the 1989 has aged as well or better than could have reasonably been expected. 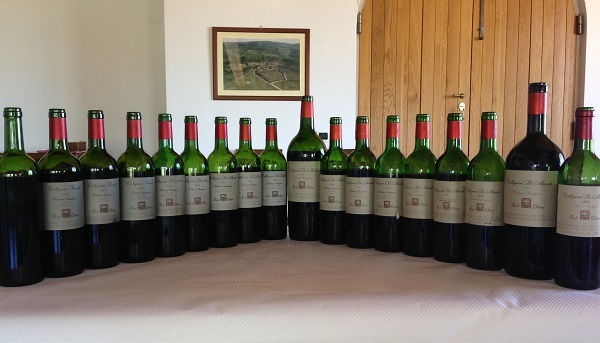 At the same time, in this vertical, the 1989 clearly suffers from a comparison with the surrounding vintages. There is good up-front intensity in the fruit, but little in the way of true persistence or depth. All things considered, the 1988 has retained plenty of color and intensity. 88/Drinking window: 2013-2015. Isole e Olena’s 1988 Cabernet Sauvignon Collezione De Marchi, tasted from magnum, delivers all of the promise of one of all-time great Tuscan vintages. Still fresh and vibrant, the 1988 is firing on all cylinders today. The tannins have softened a touch, but the wine remains marvelously intact and powerful. Another vintage with deep Sangiovese roots, the 1988 is magnificent today. Sage, rosemary, menthol and tobacco notes are layered onto a core of black fruit. The 1988 is a classic. It’s as simple as that. 96/Drinking window: 2013-2023. The 1986 Cabernet Sauvignon is drop-dead gorgeous. Sweet rose petals, mint, licorice and red fruits waft from the glass as the 1986 shows off its personality. Medium-bodied and impeccable in its grace, the 1986 is pure sensuality in the glass. Today, the 1986 is one of the more delicate vintages of this Tuscan thoroughbred. Sweet, silky tannins frame the finish. I don’t imagine the 1986 is going to improve much from here, but it is fabulous. 94/Drinking window: 2013-2016. De Marchi’s 1999 Chardonnay Collezione De Marchi is an unexpected surprise. At fourteen years of age, the 1999 is flat-out stunning. Honey, nectarine, orange blossoms and vanillin all flesh out in a rich, voluptuous wine loaded with class and pure pedigree. De Marchi proves he is equally adept with Chardonnay as he is with Sangiovese, Cabernet Sauvignon and Syrah. Quite frankly, Isole e Olena’s Chardonnay shows better at fourteen than many of the most heralded Chardonnays from Burgundy or California. What a great way to end a truly unforgettable tasting at Isole e Olena. 95/Drinking window: 2013-2019. Cover: The cellar at Isole e Olena. Note the exposed rock in the background.